learning - Would a hard-to-learn user interface be acceptable? - New and Fresh Private + Public Proxies Lists Everyday! learning – Would a hard-to-learn user interface be acceptable? Generally, we can say that there is no reason to use a difficult interface if you can use a simple interface, although there are situations where it is acceptable and even recommended, and if you must do it, it is better that is easy to learn but with all the necessary elements for ease of use and missing items. 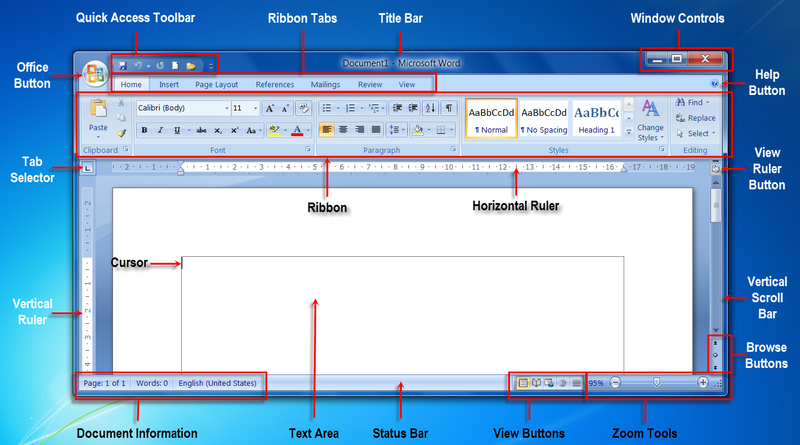 For example, Microsoft Office had the same interface for years, which made this design a solid standard, but we all know how, for the 2007 suite, they decided to change it to a more modern and flexible version. Most people hated it, and because it was new; the more people did not like (the reasons are not important), it became very difficult to use. It can be said that it was difficult in itself, without the emotions involved, but that does not change the fact that it was difficult. However, there was a reason, they wanted to add more features and make all the existing features, or almost, accessible with fewer clicks, which sounds great, but the change made the task difficult and users had to make it easy. adapt to it. Most frequent users have adapted quickly and learned the interface. So we can say that they did what you asked them to do. They created an easy-to-learn and less easy-to-use user interface. On this MSDN blog article titled Ye Olde Museum Of Office Past (Why the UI, Part 2), we can see some of the old interfaces, which are very similar to the next image. All those that were easy to use because they were more or less the same, but over the years, more and more features have been kept in an interface difficult to learn, hidden at many levels of submenus. And for the few who are not familiar with the newer interface, this is an example, which looks clean and easy to use, but this n & # 's 39 is not so simple and intuitive, but once you've learned the mechanics of grouping, it's relatively easy. However, much of the design of easy-to-use user interfaces also involves determining what should be a little harder to use. This is a counterintuitive notion essential to designing an effective user interface. So, if Fitts' law states that the essential interface elements for the user must be bigger and closer to them – or easier to find and see in the context of a computer screen – Atwood Examine the problem in reverse and ask, "What should we do with the UI elements that we do not want users to click?" The answer is simple Logically, we make these UI elements more difficult to use, locate and search by making them smaller and more remote for the user. Benny Skogberg has already described the situation in which a difficult interface has a reason based on the specific use of a specialized user group, which should also benefit from training. I will add that sometimes, even in the absence of training, some tasks require complex interfaces, for example 3D software such as 3D Studio Max or blender have very loaded interfaces, but they require almost all this, and if you delete them, it will seem incomplete, so difficult to use and learn; In fact, they are considered so complex that they rely mainly on the use of keyboard shortcuts. Thus, the interface and the workspace can be optimized. Next Next post: [ Politics ] Open question: Is it wrong that I am proud to be white?